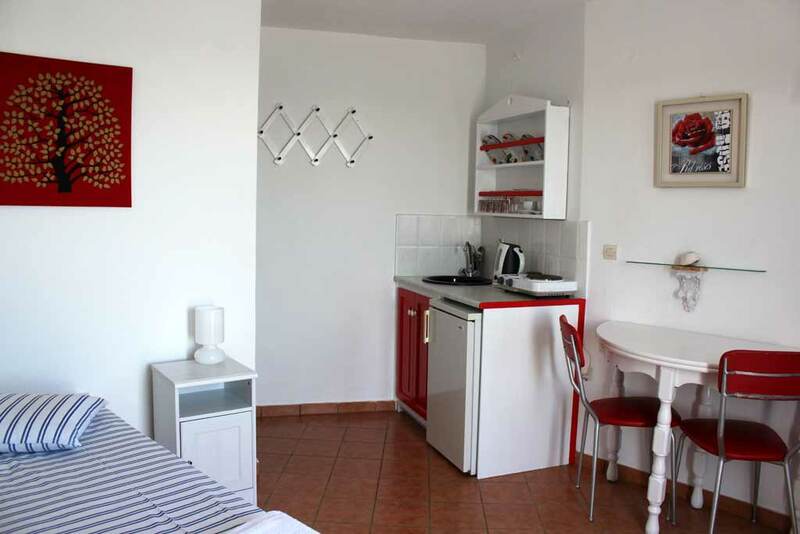 THEA is a small family unit and its history has begun 30 years ago. 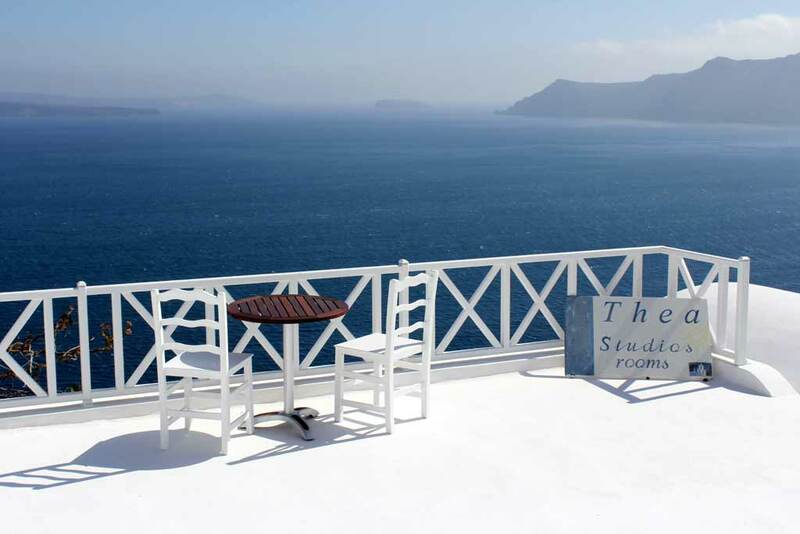 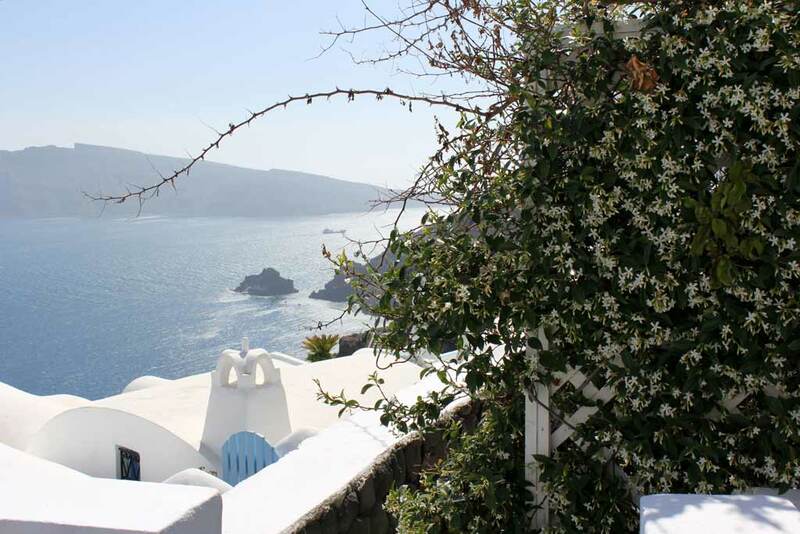 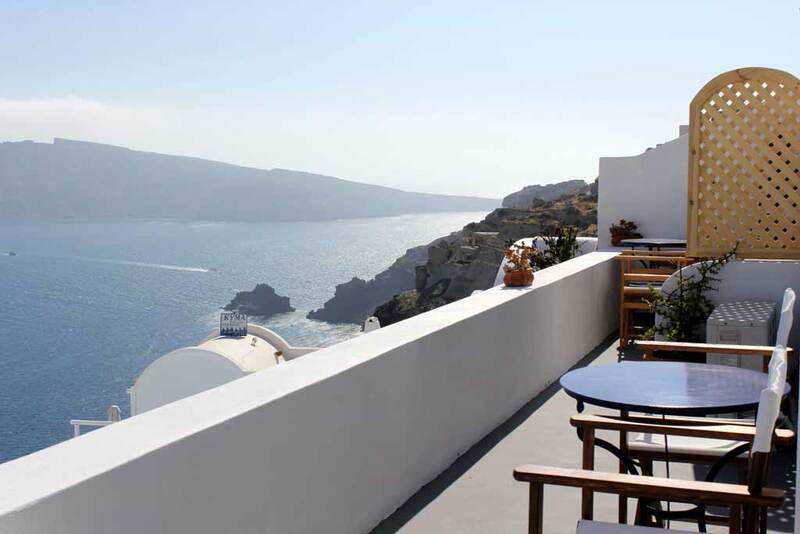 Located in the charming village of Oia, the hotel is “pinned” on the caldera cliffs offering breathtaking views to its guests. 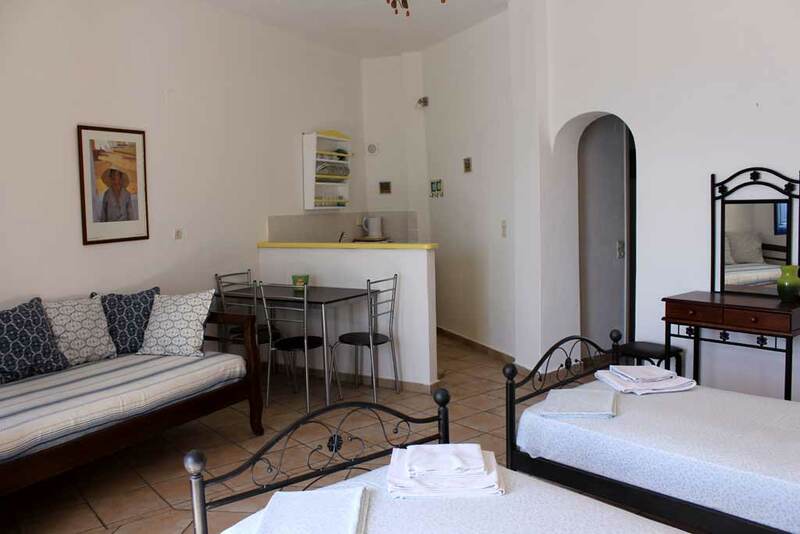 Our family invites you to live a memorable accommodation experience. 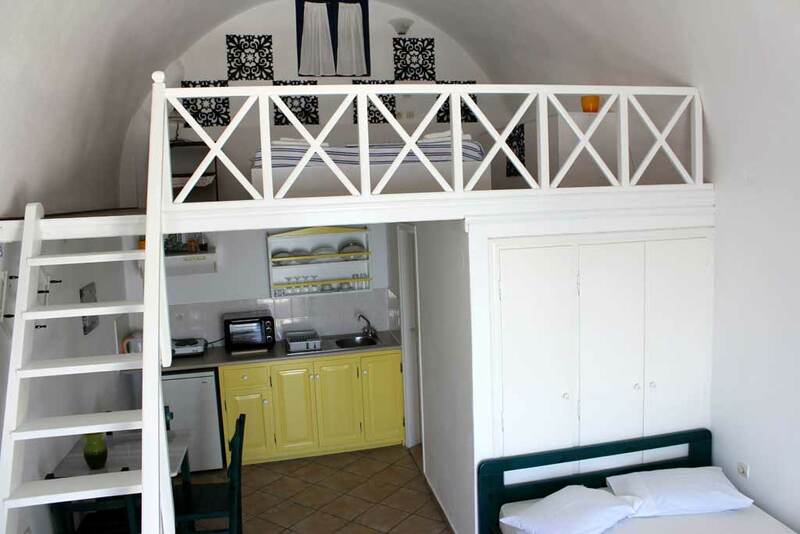 Traditional rooms & studios built inside the rocks of caldera, the so-called “cave houses”, are maintaining the traditional local architecture and at the same time are creating a unique environment, where our guests are able to spend endless moments of relaxation. 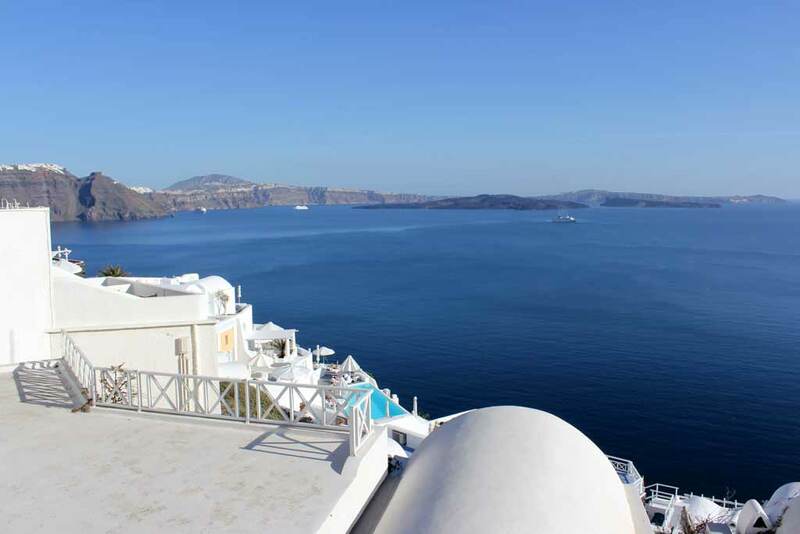 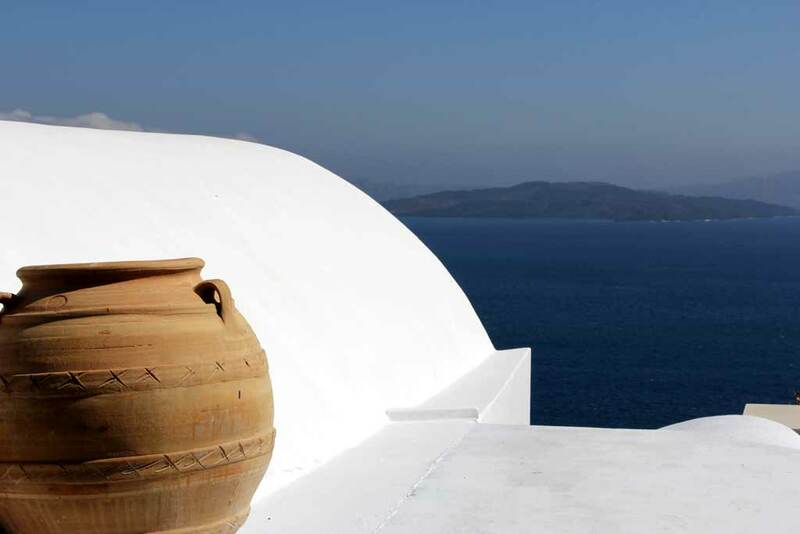 The exceptional combination of the endless blue of the Aegean sea in accordance with the caldera and the volcanic islands is an experience that you can�t miss. 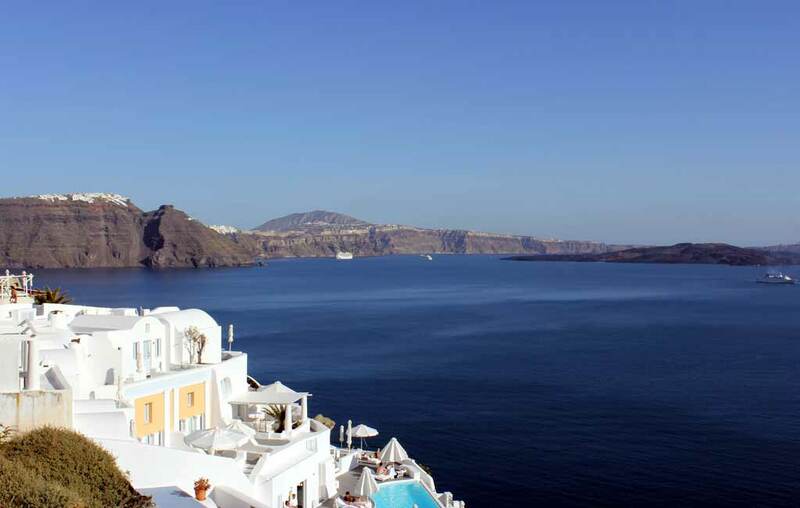 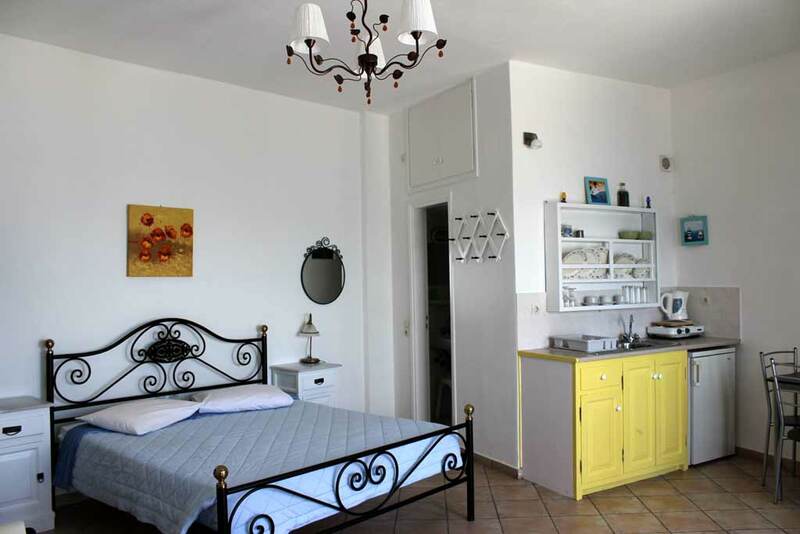 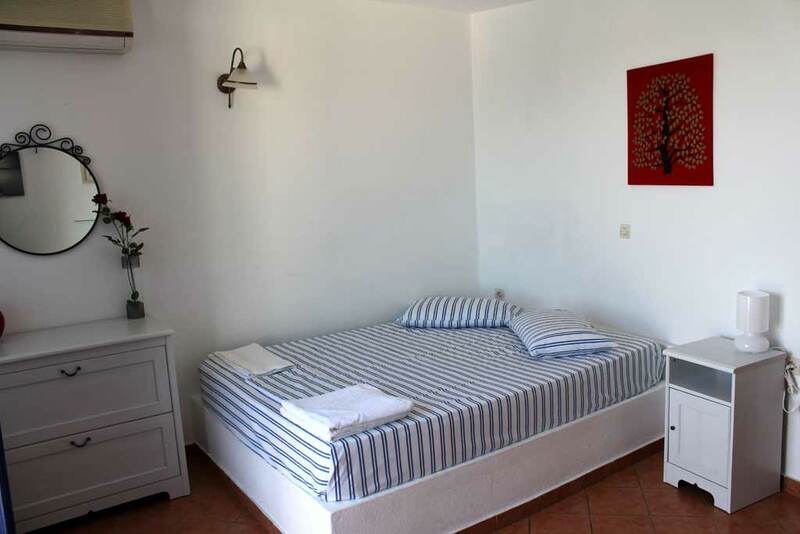 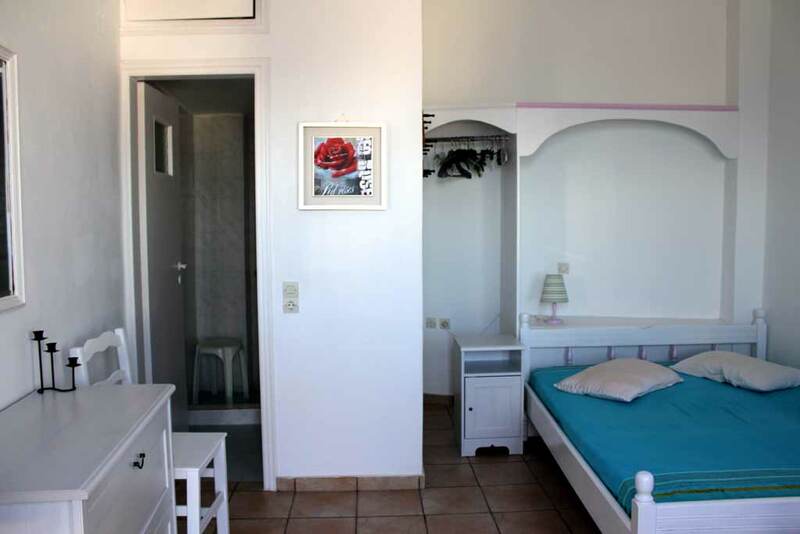 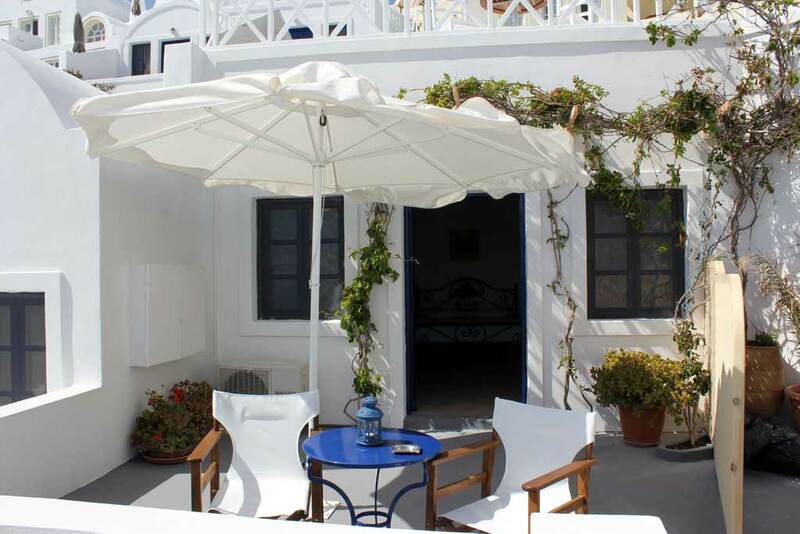 Our philosophy is to maintain the prices low in order to be as one the best value-for-money hotels in Oia and the greater are of Santorini.The friendly service of our family is a promise to you that your stay in Santorini will be an unforgettable experience. 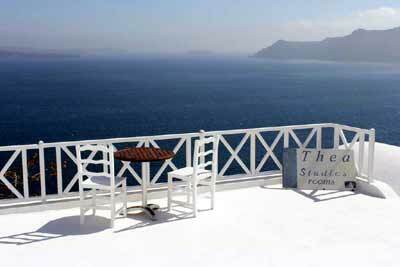 Balconies Facing the Aegean sea and the volcano.